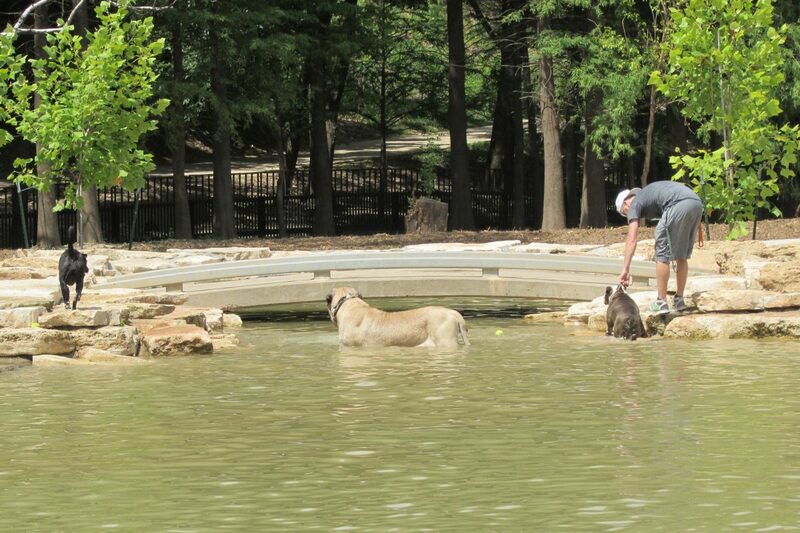 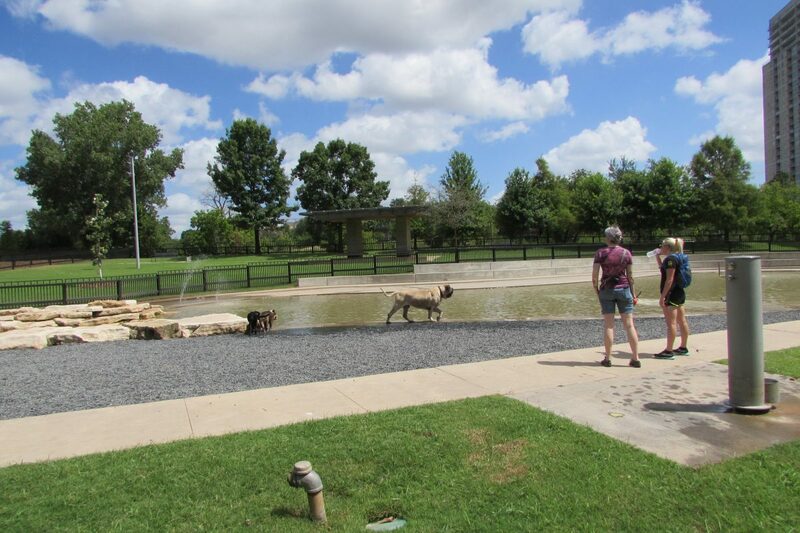 Dogs go straight for the water at Johnny Steele Dog Park, something they haven’t been able to do for a while. 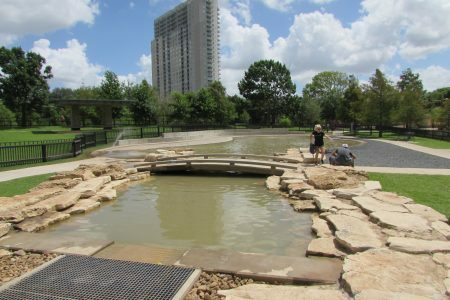 After Buffalo Bayou flooded during Harvey, crews had to haul tons of sand out of the park and it was shut down for months. 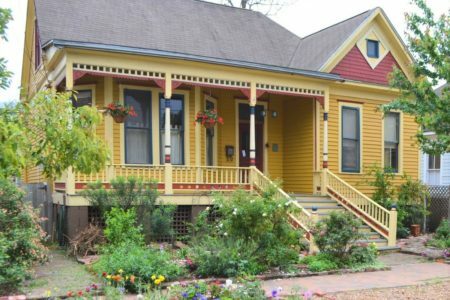 Myka Jimenez says she’s excited to see it reopen. 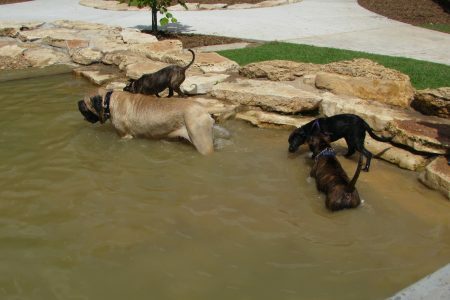 She was there with her dog Desso, a boxer-pitbull mix. 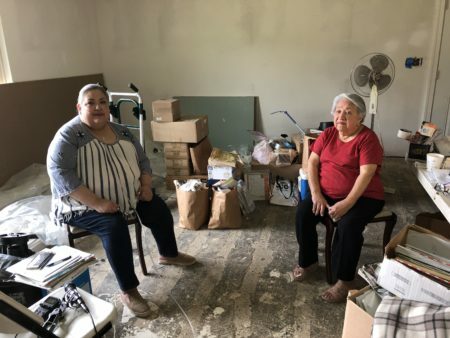 But then after Harvey struck, Desso had to spend a lot of time cooped up in an apartment. 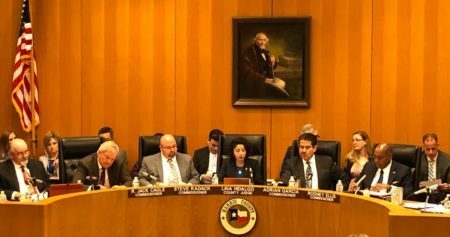 “I started to get nervous that he would not know how to act,” said Jimenez. 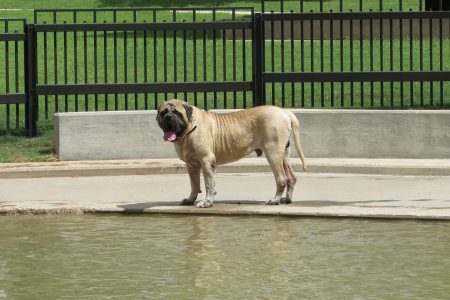 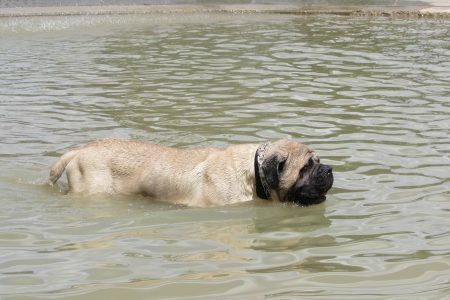 But as soon as Desso got to the park he jumped in the water and started playing with other dogs. 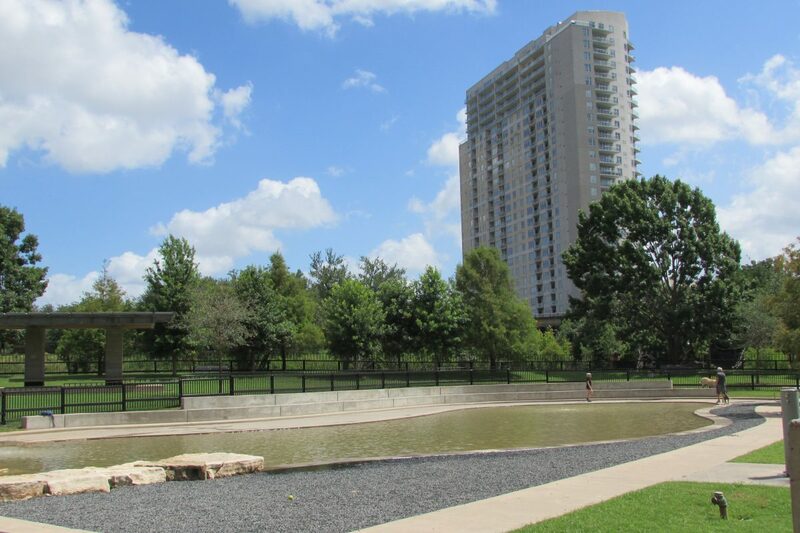 “He really needed that time to be free but also with some parameters,” added Jimenez. Along with a new larger pool, improvements at Johnny Steele include expanded lawns for both big and small dogs. 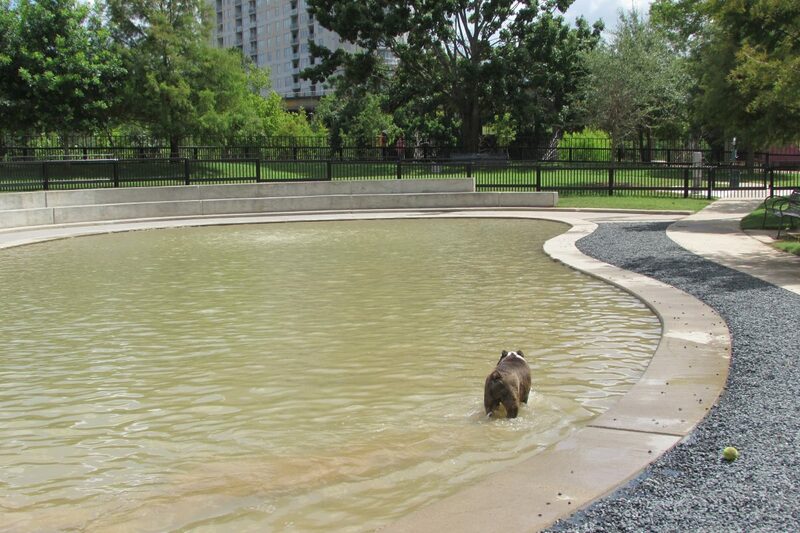 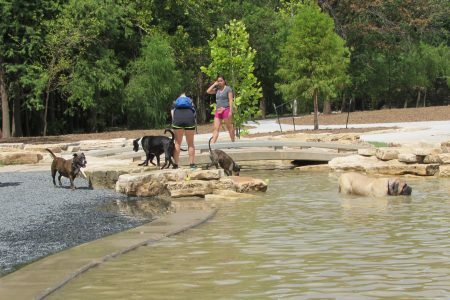 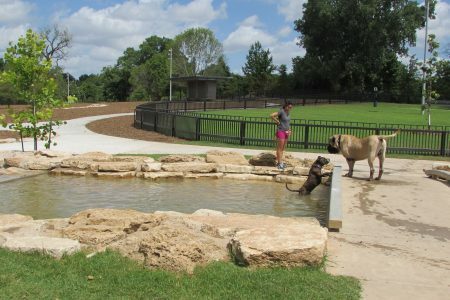 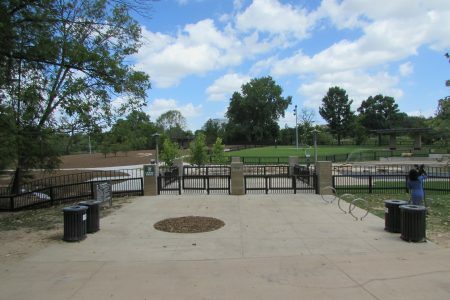 There’s also a retaining wall with seating where owners can watch their dogs romp and splash. 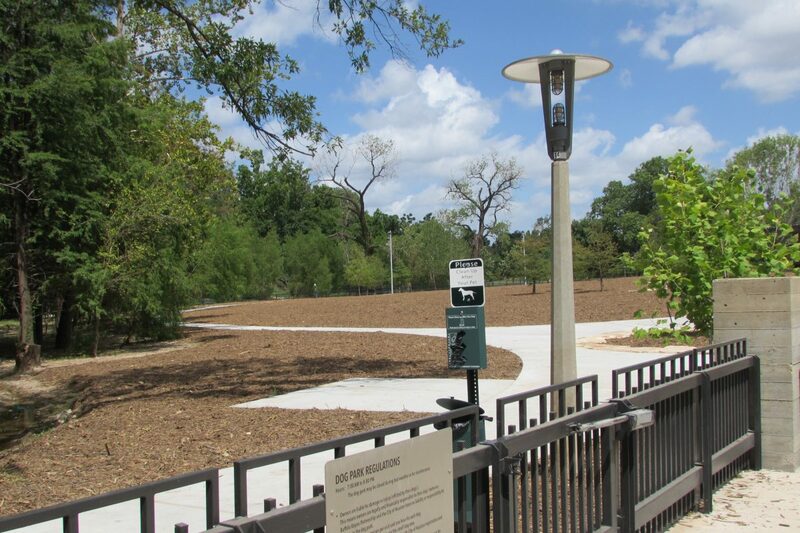 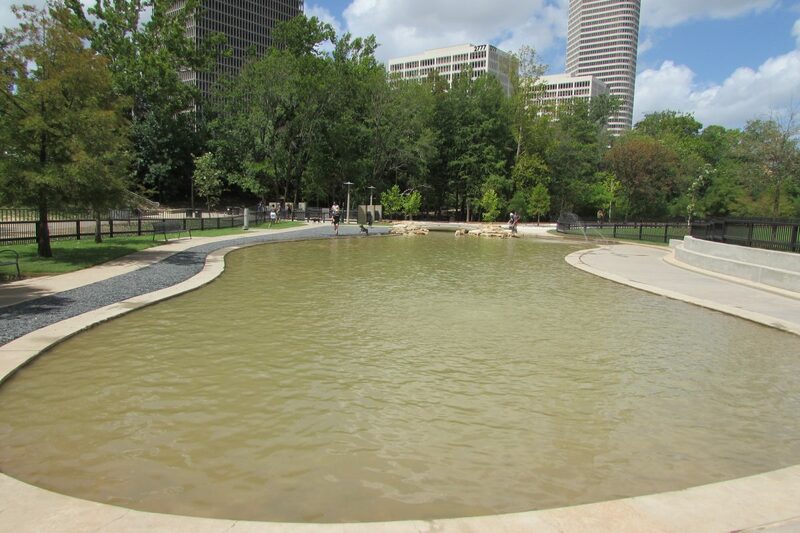 The park is located on Allen Parkway at Montrose Boulevard.